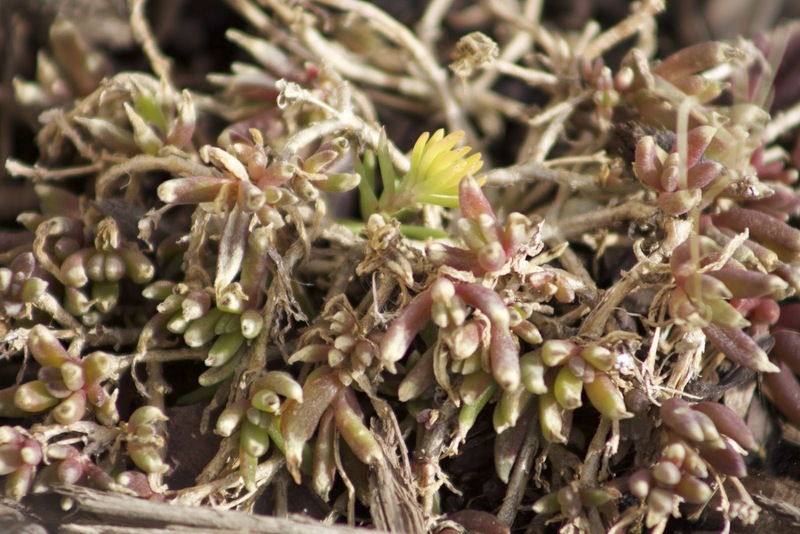 Hardy in Zones 5-10, let's check in on my Delosperma ‘Jewel of Desert Peridott’ in winter before and after two snow storms and a bought of single digit temps. Here it is on December 31 in Indiana - how did it spend its New Years Eve in Zone 5a? Not bad! It still had most of its 'flesh' and was keeping red and green in the lower areas of the mulch out of the wind. This creeper really sneaks into crevices, I can't wait until it has a full summer to hopefully grow into a nice succulent green mat. Now let's see it a month later, after two snow storms and one pretty rough week of single digit temperatures (luckily it was under the snow for that week!). Also, these photos were taken with my iPhone whereas the ones above were with my Canon T5i so color may be slightly different as you compare. Yep, the tops are looking pretty shredded. Anything exposed to the wind is crunchy and dry. 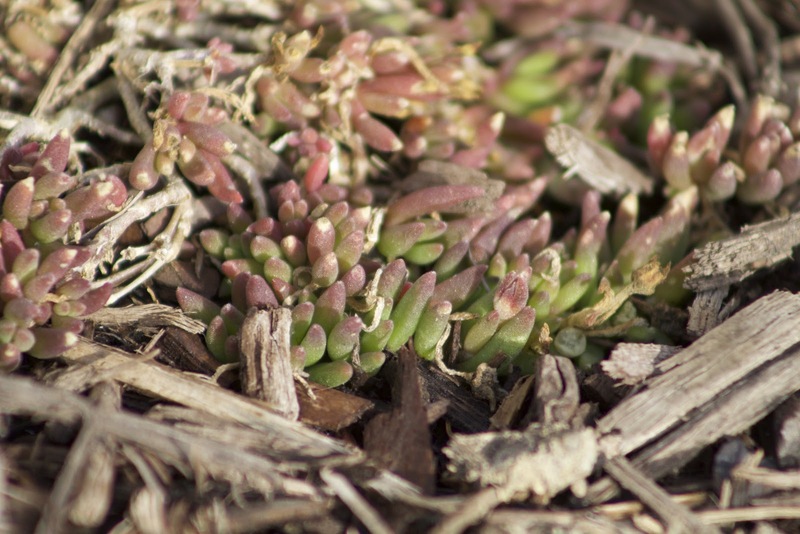 But below, in the cracks low to the ground down in the mulch, I spy red and even green fleshy succulent leaves. This thing is definitely still kicking up here in Zone 5a. Like I said, it really has a knack for getting down down down into those crevices, and it's really paying off for wind protection.